Our small island is home to some of the finest examples of automotive art in the nation. Back in 2006 we decided to provide a venue for all the "gear heads" down here. We started off as a Corvette club but have since expanded and welcome all muscle cars, hot rods and exotics into the mix. Our club is unique as there are no dues and no agendas. Just show up and have a good time and meet some great people and make some great friends. 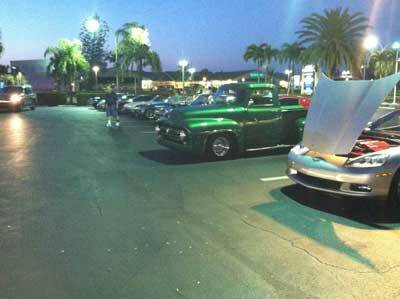 The guys meet every Friday evening at 8:pm in the Town Center parking lot across from the old Susies diner. 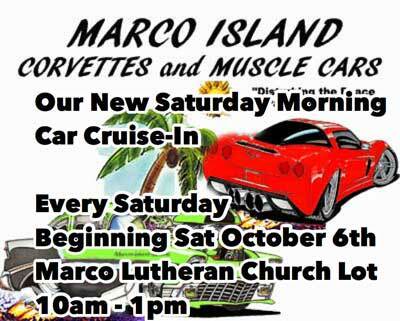 We also host a car cruise every Saturday morning at 10:am in the parking lot of the Marco Lutheran Church on Collier Blvd. 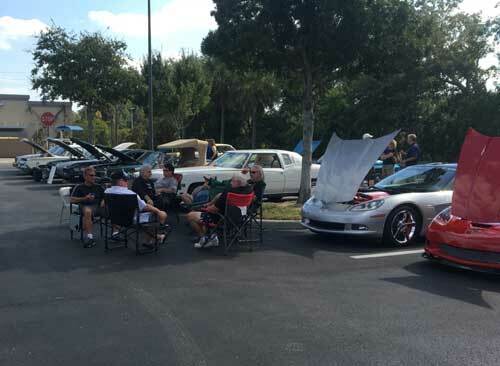 The new Saturday morning cruise has really taken off, word is spreading and our goal is make Marco the "go to" place for car nuts. 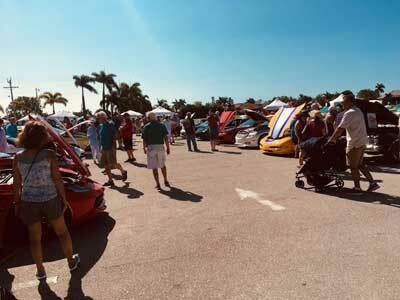 We had a great time at the annual Kiwanis car show. 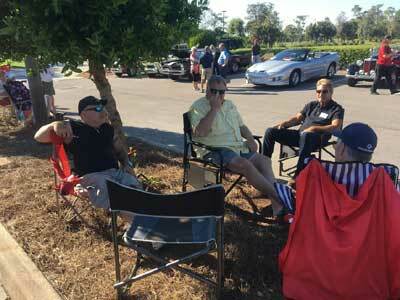 We filled all of our 25 reserved spots with club members. We had a great time at this years show. 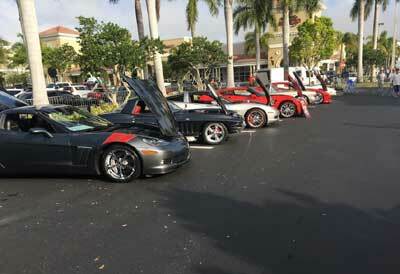 Several hundred cars were on display making this the largest car show of the year in the Naples area. 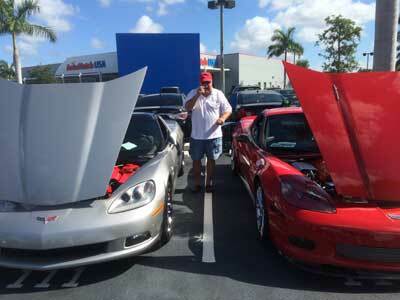 Tony's Z06 picked up an award for the club. The tourists have descended on our sleepy island again. The peace and quiet has given way to the insanity that we must endure every year. We were told that the islands population will swell to about 65,000 during this years peak, its only about 13,000 during the off season. Hey not that we don't like to see our snow bird friends but it will be nice to be able to go out again after they have left and not face a wall of angry traffic. Easter is late this year so we will have to endure a few extra weeks of mayhem. Have you noticed how angry and stressed out the Northerners are this year? It takes them at least two weeks to calm down. They get stressed out again when they realize they have to go back home. They will start to leave the week before Easter and we will have our island back. To all of our friends that are here, come on down join us at our Friday night get togethers. If the skys are dry come on down every Friday night in front of the old Susie's diner at 8pm and shoot the bull with us. Get off the couch and give your car some exercise this week. We know you are down here because we see you driving your cars during the day. Give your wife a break and let her watch one of those "dancing and singing with the bachelor" tv shows in peace. The Friday night weekly meeting is a great excuse to get out of the house by yourself and shoot the bull with the guy's one night a week. Take your Wife or Girl Friend to our new Saturday morning cruise it's more "Politically Correct". 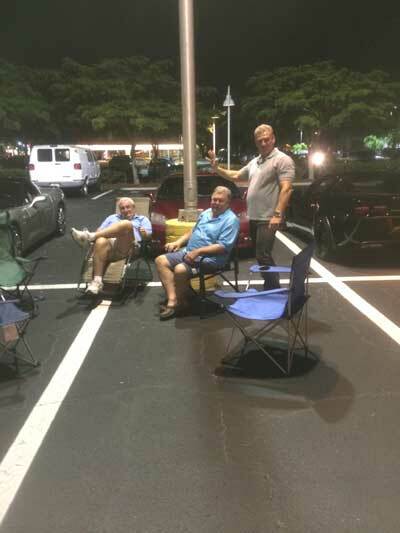 If the streets are dry come on down to the Town Center Mall parking lot, in front of the old Susie's diner on Friday nights. We start showing up at around 7:45pm and usually hang around for two hours or so. 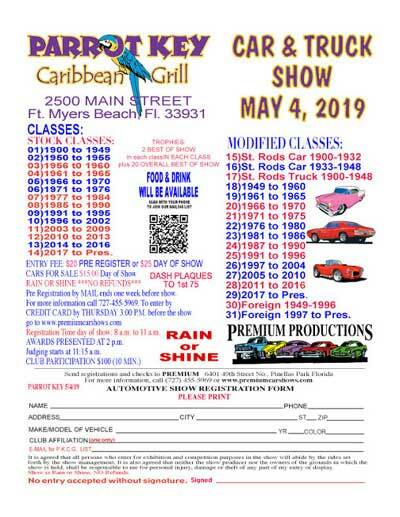 If you want to round out your need for weekend speed check out our new Saturday morning cruise-in. 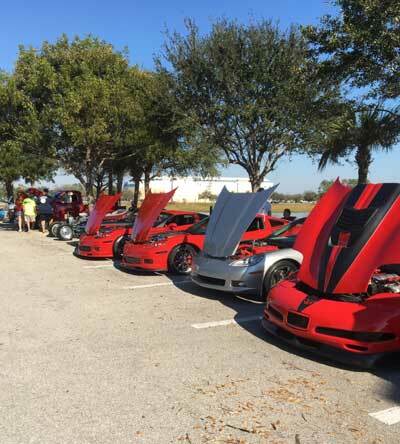 The gear heads will gather every Saturday at 10am in the parking lot of the Marco Lutheran church on Collier Blvd. 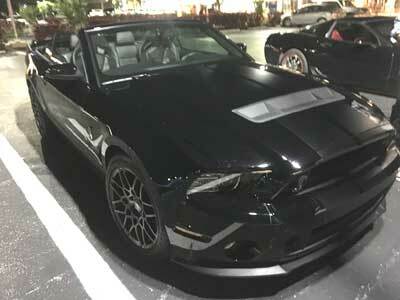 and this is now -GM still has to go back to the drawing board. Please send me an email with your name, car info and telephone number so we can better coordinate some of the future events we have planned. If you have any ideas speak up. This is a great location we have been to shows there in the past, located at a great TIKI Bar just outside of Ft Myers Beach. 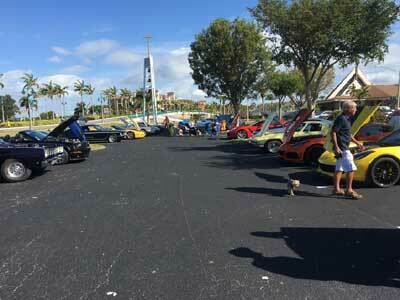 - There is a cruise on the fourth Sunday of every month in the River Distrct in Downtown Fort Myers. The streets are reserved for show cars only. 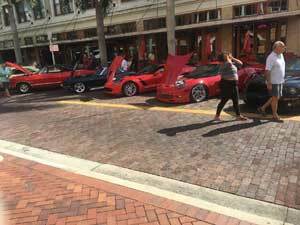 12pm -4pm, get there by 9am as the streets fill with show cars very quickly. The Sunday Cruise-in's at Miromar consistantly draw over 200 cars This is a great show that takes place on the first Sunday of every month. 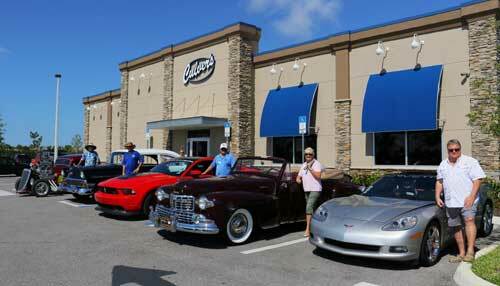 The Naples Daily News featured the old Culvers cruise in their "Wheels" section. Victor and Tony pick up some trophys at the Muscle Car show at the Imokalee Casino. These were great shows, too bad they stopped holding them. Keep up the participation and word of mouth advertising. 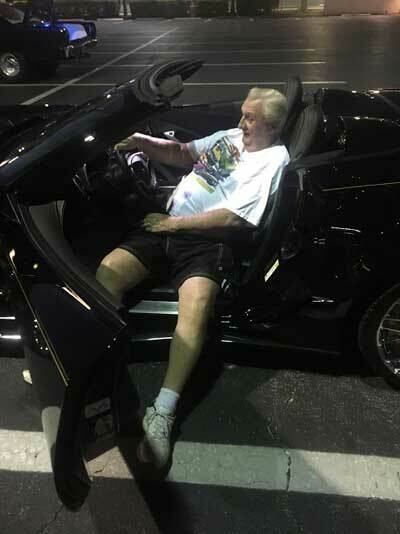 Please tell everyone you know who has a Corvette or a Muscle car about the club. 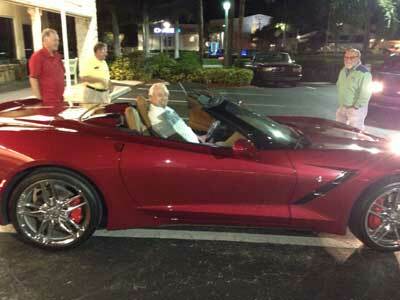 When was an AM/FM stereo radio first available in a Corvette? Answer on the Schedule Page. Thanks, Looking forward to seeing you. We don't have a mission. 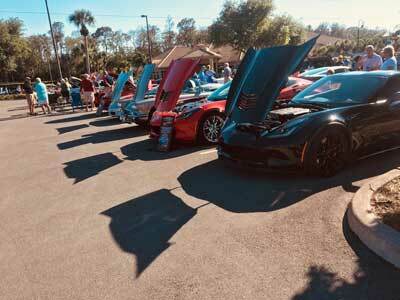 The clubs only goal is to provide a fun meeting place for Corvette and Muscle Car owners. - We talk about cars, no politics or religion. There are no dues, no officers and no agenda. If you are looking for a cake sale or social club you are in the wrong place. 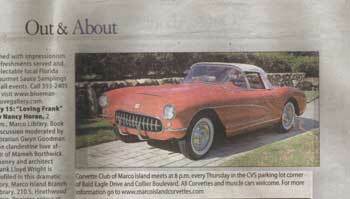 Get a club golf, T shirt, or hat with a neat Marco Island Corvette and Muscle Cars Club Logo on it. Its a great shirt to wear at our new Saturday cruise-ins.